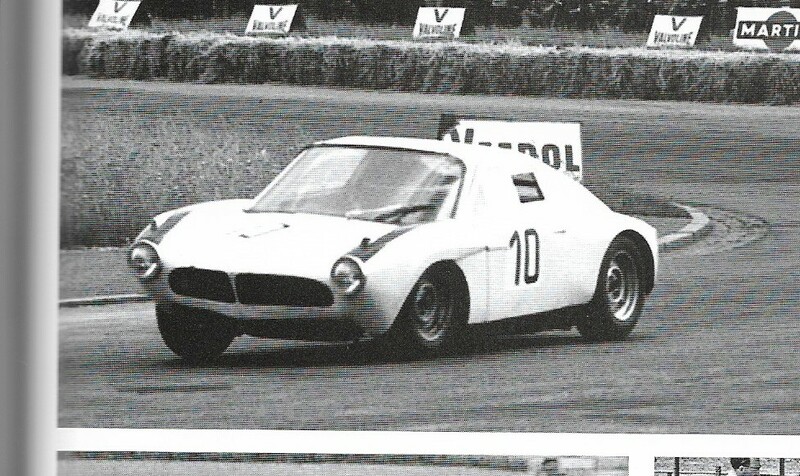 I never knew Martini built a special 700 until I saw this model on ebay. A little surfing found several images. 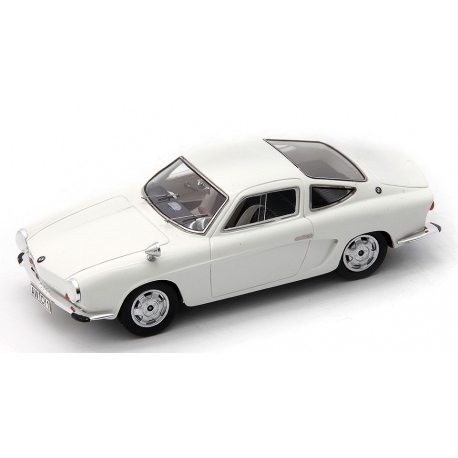 The same fiberglass body style was also used for a Mini powered racer. I think you and I are close to the same age, so maybe you remember the Martini and Rossi TV commercials from the early Seventies, and of course there was their sponsorship of many race teams. When I first got my 700, I thought the references to Martini were to the brewing company. 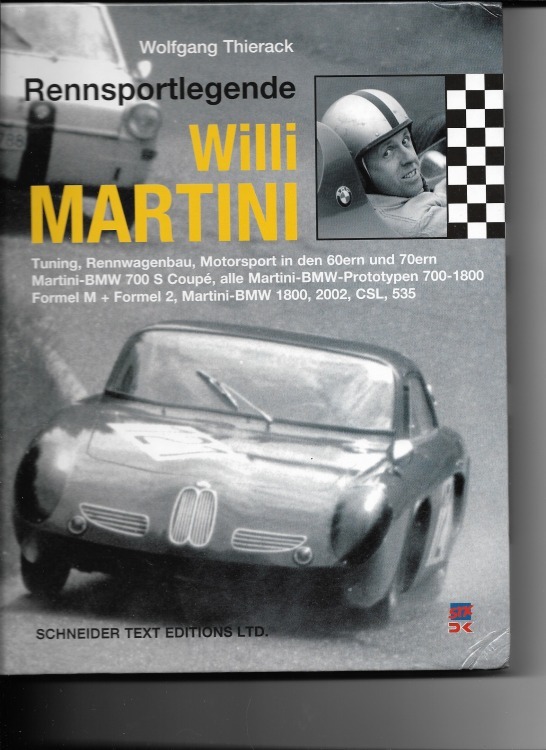 Only later did I learn about Willi Martini and his involvement with BMWs. I didn't find any copies on German e-Bay, and I certainly didn't pay what the Amazon vendor is asking, but the book is a worthwhile purchase, even though the text is in German. Some of the 700 variations he built are truly remarkable. Jawohl! I'll bet that is an interesting read. But, I would need to brush up on my German! The pictures are worth the price of the book. He was a real character, by all accounts. Google Veritas automobiles to see some of Willi's early involvement with racing. Pictures in the book of the 700 RS roadster with its targa bar are especially striking, why it was removed I haven't discovered. IIRC, I believe Elliott told me there might be four or five authentic Martini cars left in Europe. My favorite is the 1800 prototype, book notes the nose gives it a 507 look.